If you need help with finding resources either in the library or online then the person to turn to is your Subject Librarian. If you are not sure who they are and what they do then you can watch this short video to find out or go to the “Getting Help” page, use the drop down menu to select your subject. All their contact details are there and they are happy to meet you or answer queries by phone or e-mail. So don’t struggle, contact your librarian today. 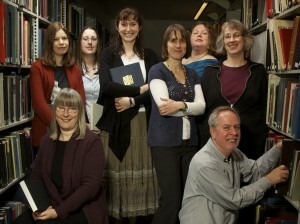 This entry was posted in Research, Training and tagged subject librarians on 23rd Mar, 2012 by Susan Abbott.